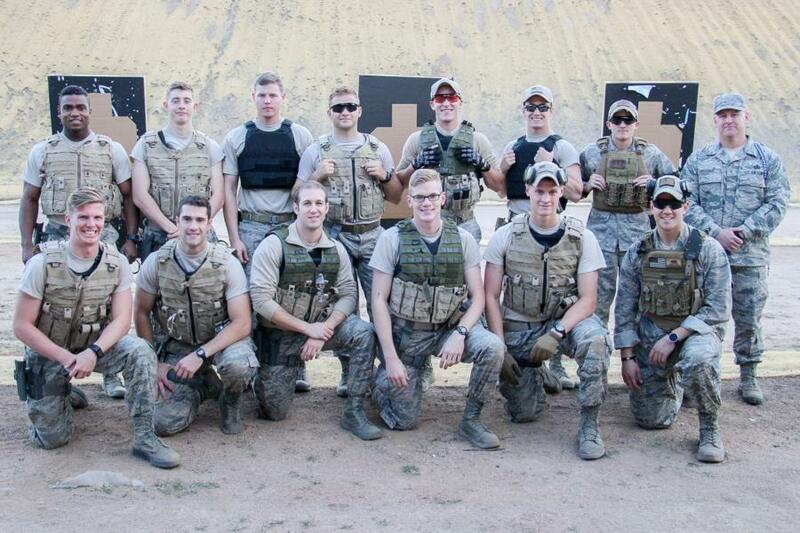 We recently stopped by a practice out at CATM for the Combat Shooting Team. The team started 9 years ago as a way for a few cadets to obtain more firearms training and proficiency than is normally provided to cadets. 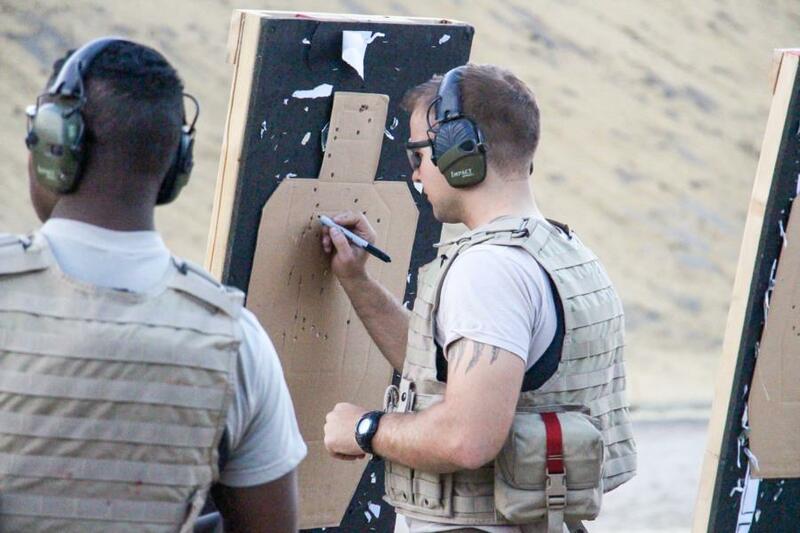 Since then, they have expanded their focuses to include rifle and pistol marksmanship/proficiency, small unit tactics, basic medical training, unarmed combatives, and competition shooting. 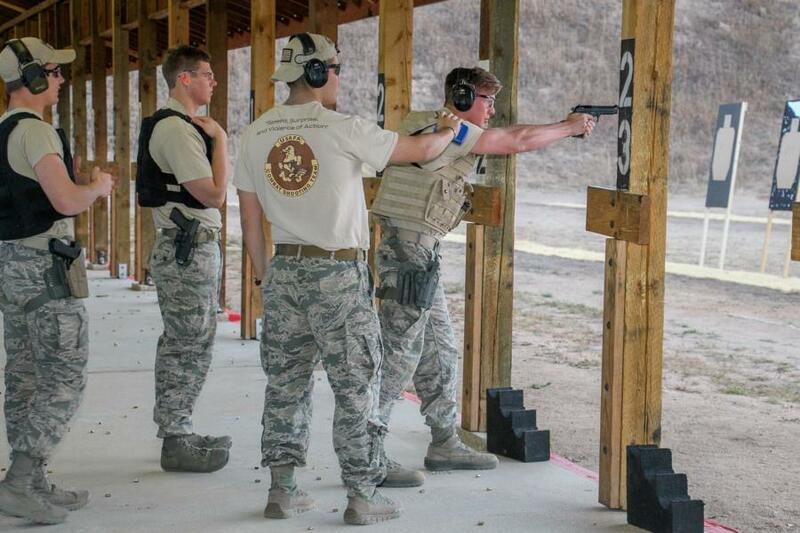 They compete in various disciplines, attending local IPSC, USPSA, and IDPA matches around the Colorado Springs area. 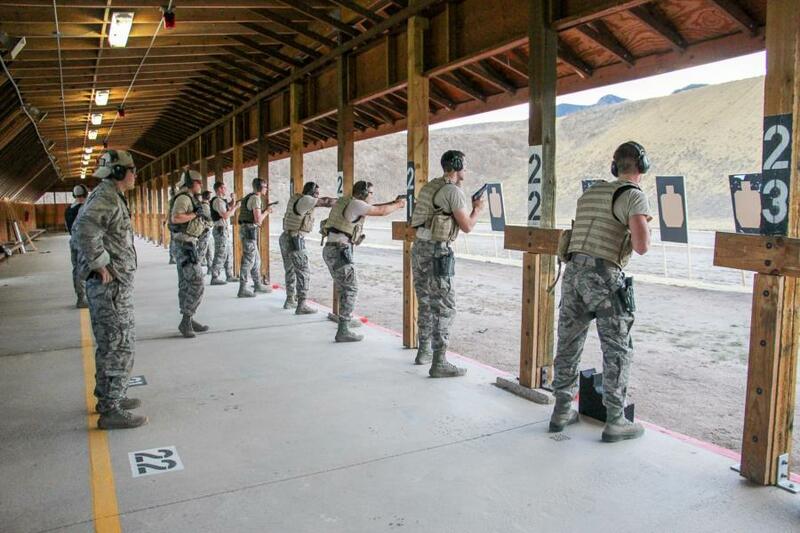 But they also try to travel at least once a year to compete against the other service academies in a 2-gun (rifle and pistol) competition more focused on combat-applicable shooting. At the practice we stopped the team was practicing with the M9, also known as the Beretta 92FS for the Civilian version of this gun. After each round, they had to go up to the board and mark their hits and misses down. After several rounds of this they then went into a timed "competition" like round, where each cadet came up one at a time and had to push-ups and then shoot at the target. The number of push-ups, differed for each cadet depending on how many times they had missed their marks up to that point during practice. After these push-ups were completed they then had to hit the target a specific amount of times. 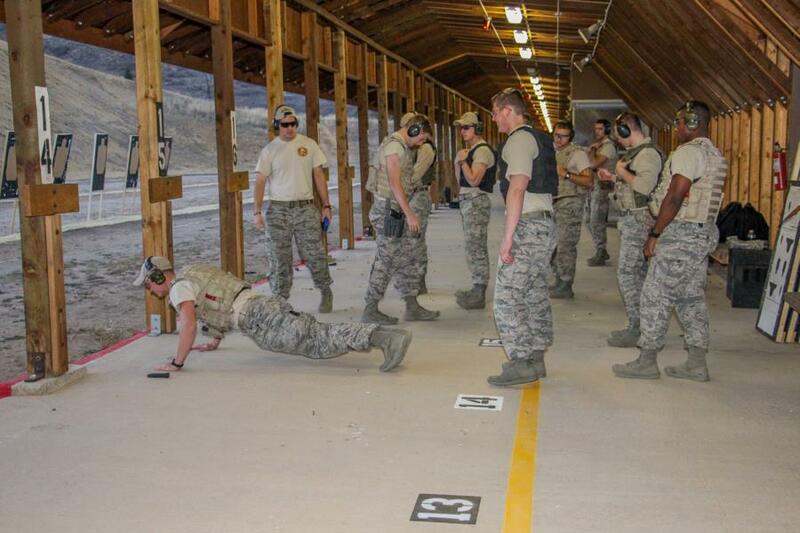 Doing the push-ups prior to shooting at the target gets their adrenaline going and puts them into the same type of state that they might be in when they're in the middle of a competition. We hope to get more coverage of the team in the Spring semester, so stay tuned! To view the rest of our coverage of their practice go to; Galleries - Extracurricular - Cadet Clubs. Or click the link below.